For the Orc in Wayrest, see Dugrul gro-Ogdula. 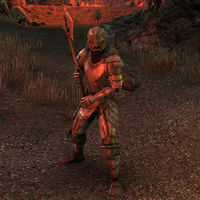 Dugrul is an Orc soldier of the Daggerfall Covenant found inside Softloam Cavern. Defeating him clears the dungeon. This page was last modified on 3 October 2017, at 02:55.